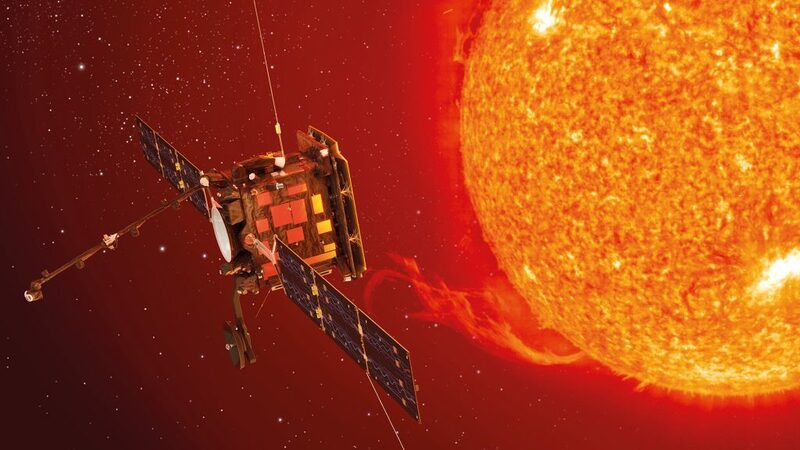 Solar Orbiter is a mission of the European Space Agency (ESA) that will make significant progress in our understanding of the Sun and the internal Heliosphere. Solar Orbiter will perform remote and in-situ measurements from an orbit that will go up to 0.3 AU from the Sun, as well as out of the ecliptic plane. Artist’s impression of Solar Orbiter. Credit ESA. The launch is scheduled for 2020. The LPC2E ESPACE team is responsible for the manufacturing and operations of the Search-Coil Magnetometer (SCM) that will measure medium and high-frequency magnetic field measurement as part of the RPW experiment. SCM is a three-axis search-coil sensor that will measure the magnetic field from 10Hz to 100kHz, as well as from 10kHz to 500kHz on one of the three axes. Its measurements are crucial for the characterization of the turbulent heating of the solar wind. Instrument RPW-SCM of Solar Orbiter. Credit ESA and LPC2E.